For almost 50 years, the world’s population has grown at an alarming rate, raising fears about strains on the Earth’s resources. But how true are these claims? 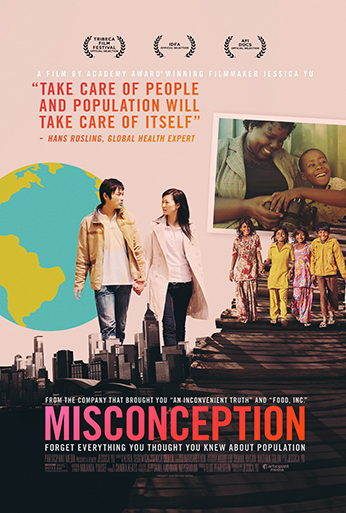 Taking cues from statistics guru Hans Rosling, Misconception offers a provocative glimpse at how the world—and women in particular— are tackling a subject at once personal and global. Following three individuals, director Jessica Yu focuses on the human implications of this highly charged political issue, inspiring a fresh look at the consequences of population growth.